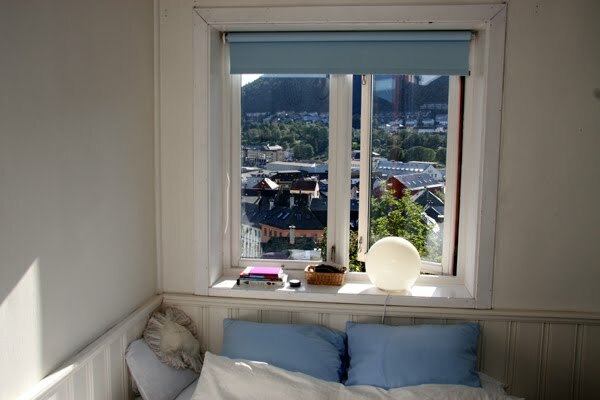 The September challenge over at NIB (Norwegian interior blogs) is bedroom for grown ups. 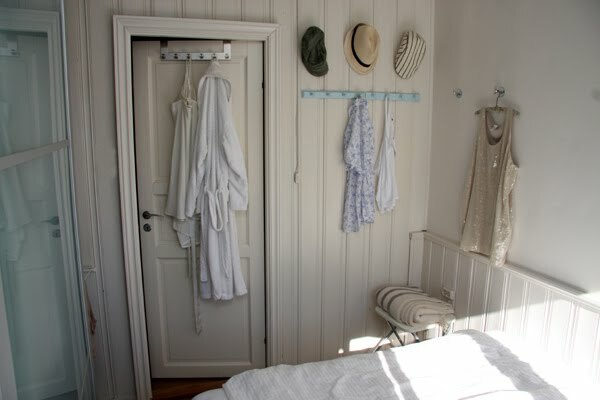 Our bedroom is small and very simply decorated. (Since we don't have an indoor storeroom, we chose to use the biggest bedroom in our apartment for storage and guestroom.) We didn't do anything to this room when we moved in five years ago; no painting or rebuilding or anything. It's not perfect, but I'm not in a rush to change anything. We just put our furniture in; bed, a wardrobe from IKEA with sliding doors (because there is no room for normal doors), a stool, a lamp and some clothes hooks + a drying rack and a clothes rail that fits perfectly next to the wardrobe. There's no problem drying clothes in the bedroom; it gets plenty of fresh air because we always sleep with the window open. We use the window sill as bedside table. I always prefer white or very light colored bed linens. The white one in the photos above are from Illums Bolighus - a wedding gift from my maid of honor and her husband. During winter we often use a darker colored blanket to add a bit of warm coziness to the room. The rug used to be my great grandfather's, and the blinds were installed by the previous owners. And yes, we share one normal sized (140*200 cm) duvet. 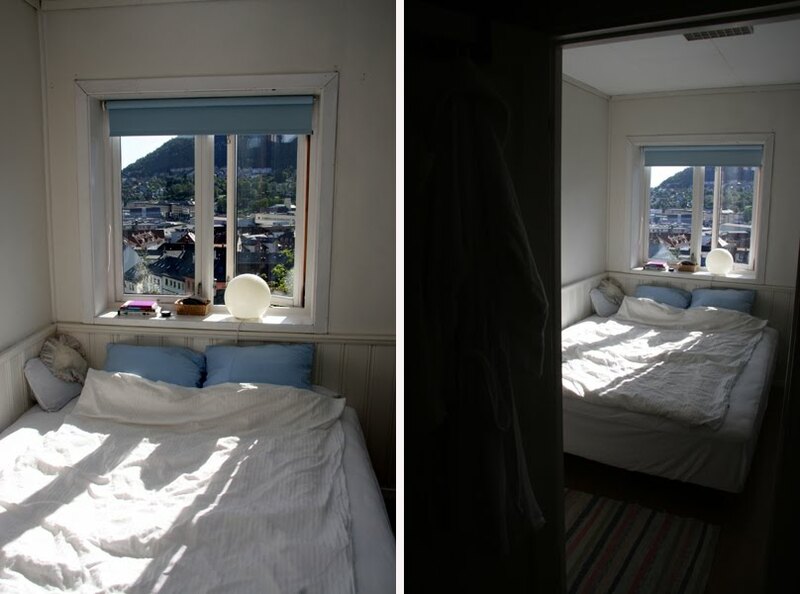 I'd love to have a bedroom like this. Oooh, I really like your bedroom. It's simple but perfect, in my eyes. It looks really refreshing and calm. Fint! Jeg tror ikke store soverom nødvendigvis behøver å være tingen. Selv har jeg en teori at jeg sover på små, koselige rom med frisk luft fra vinduet. the view from your bedroom window is amazing. i love it! FIIINT. og det å dele dyne er også fint. <3.